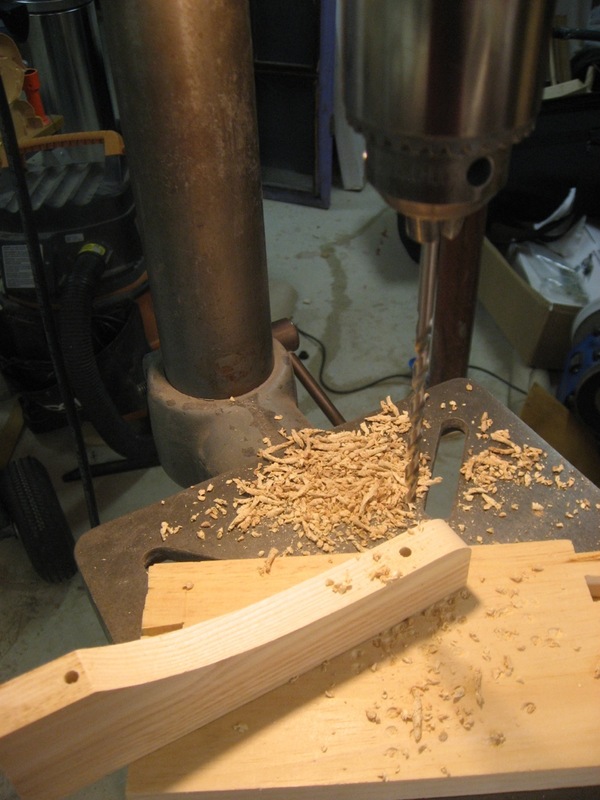 The rest of the underside support needs cutting out, drilling holes and finishing. 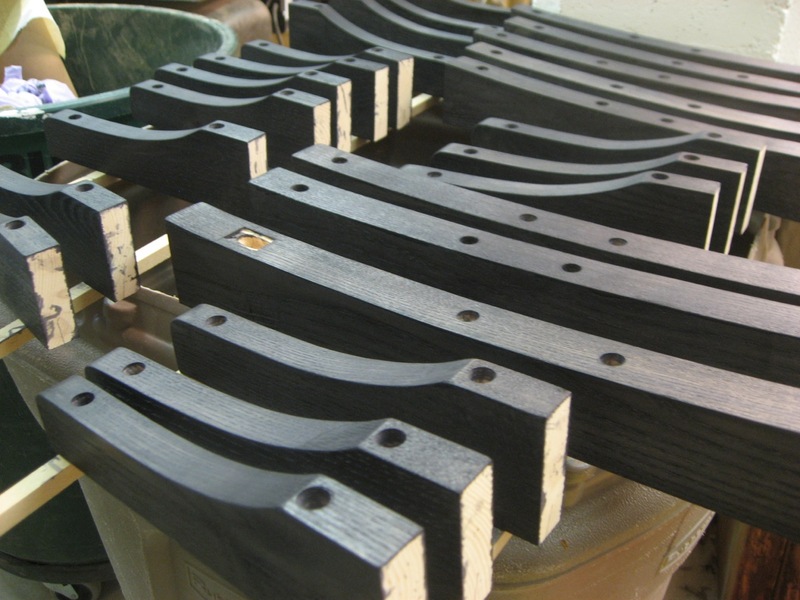 I applied a black finish on these support pieces prior to attaching them to the top. I put on one coat of TransTint black diluted in water and then one coat of shellac mixed with Mars Black Pigment. 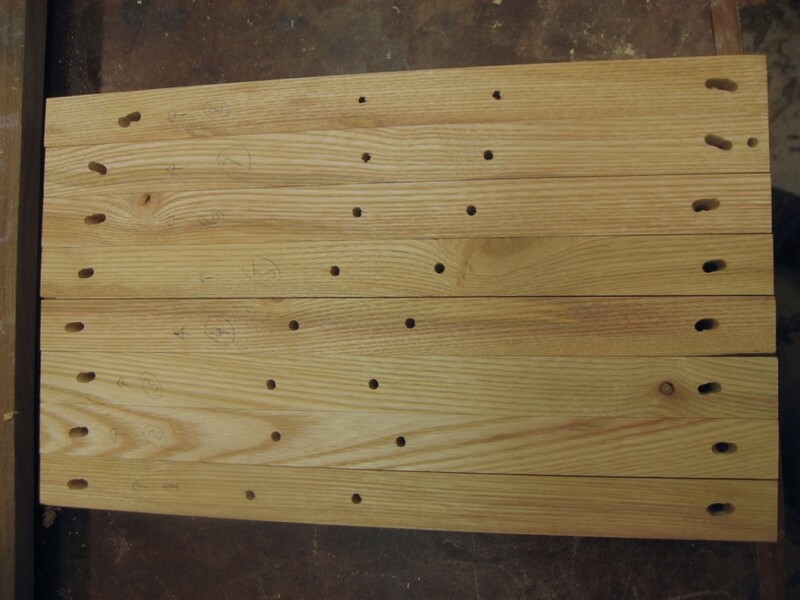 I elongate the holes at the outer edges to allow for wood movement. Black stain is brushed on, pre-finishing that step. Morton is a furniture designer builder working in Harvard, MA. He reviews tools for Highland Woodworking on YouTube. You can also find him on Facebook, Twitter @morton, and his own YouTube channel. 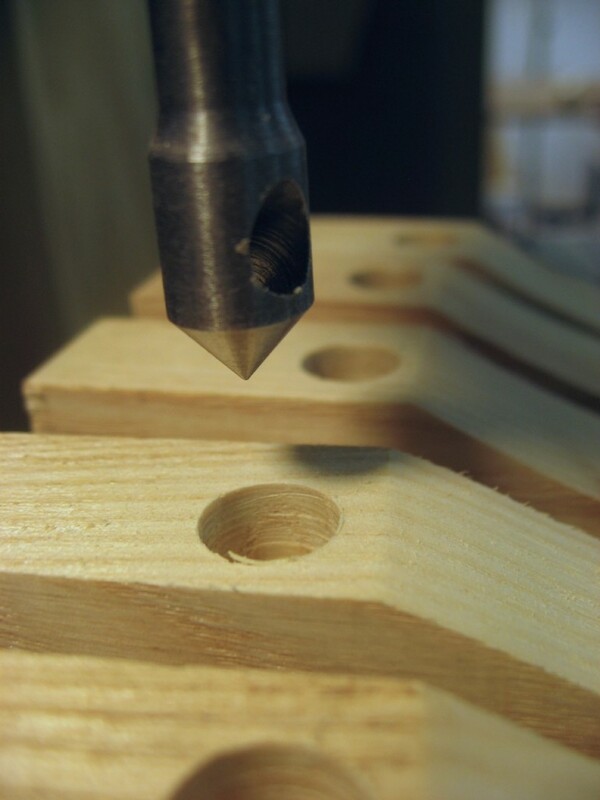 Morton’s Shop: Shape the Support Take a look at the September 2012 Wood News Online!